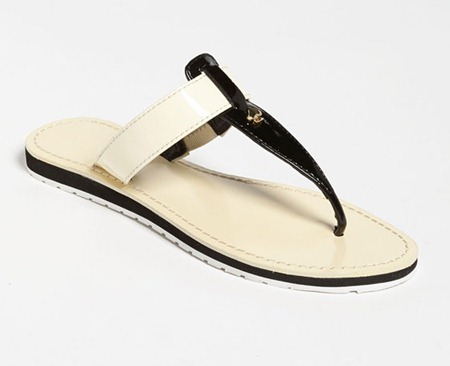 The Kate Spade Ana Sandal is a patent leather thong sandal under $100. It is a great way to get a little bit of designer wear on the cheap! Stylish and attractive, it is is perfect for spring and summer. Get the Ana now before it sells out! Let’s think about spring! 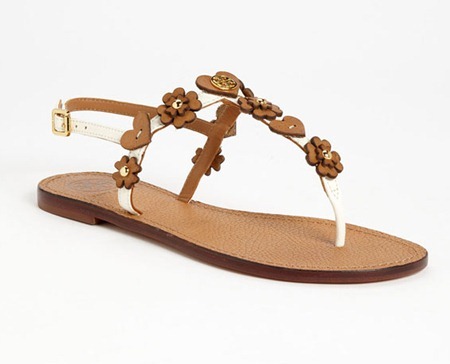 The Tory Burch Cori Thong Sandal is a major want of mine! 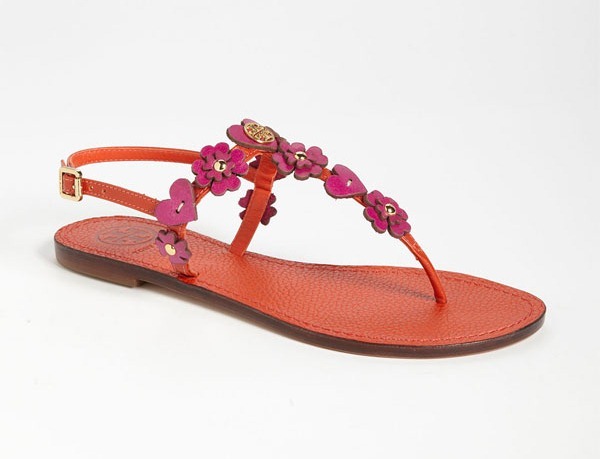 This beautiful leather sandal has cute appliqués and a fully adjustable strap. This is just perfect for spring and summer. It is available now in two colors! 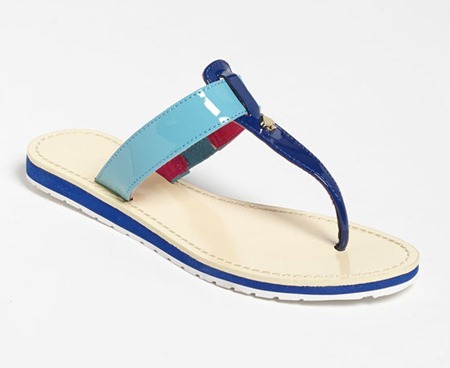 You can buy the Tory Burch Cori sandal at Nordstrom.